Tallahassee Mall was once the city's premier enclosed regional mall. By the 2000s, it was well on its way to becoming a dead mall. Now it has a new interesting look. Will it work and can it serve as an example for other struggling shopping centers across the country? Tallahassee Mall opened in 1971 as the city’s second enclosed mall with Woolco, Gayfers and Montgomery Ward as its three anchor stores. Northwood Mall, Tallahassee’s first mall, opened its doors two years earlier, as an enclosed mall experiment by Publix Supermarkets. The first and only mall developed by Publix, the center’s retail strategy was to fill it with local merchants to compete against regional malls catering to national chains. Anchored by Publix, the grocery store’s manager was also the mall manager. 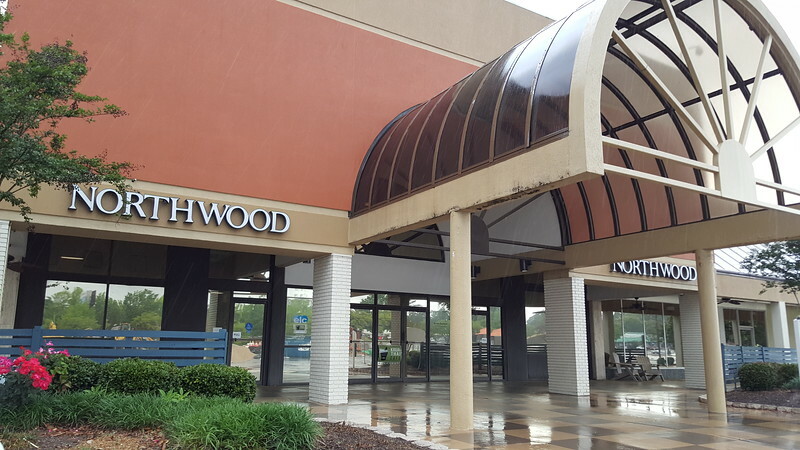 Northwood’s demise came quick after the opening of Tallahassee Mall, leading Publix to sell the center in 1983 and get out of the mall business for good. Gayfers was an original anchor when Tallahassee Mall opened in 1971. Acquired by Dillard’s in 1998, the department store closed its doors in 2008. 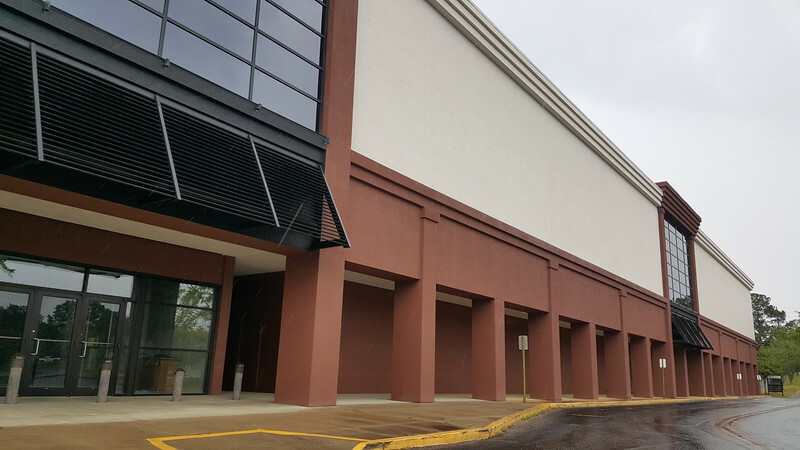 Located on a 95-acre site at the intersection of North Monroe and John Knox Road, the mall did not dominate the Tallahassee retail market for long. In August 1979, the Rouse Company opened the larger Governor’s Square Mall on the east side of town. Anchored by JCPenney, Maas Brothers and Sears, Governor’s Square quickly became viewed as Tallahassee’s superior regional shopping center. In 1983, Zayre moved into Tallahassee Mall to replace Woolco. Ames acquired the Zayre chain in 1988 and quickly spiraled into debt, filing for bankruptcy and closing the Tallahassee Mall store in 1990. In an effort to compete, Tallahassee Mall expanded in 1992 by adding a new wing and the region’s first Parisian department store (acquired by Belk in 2007) as a anchor. A year later, Governor’s Square followed suit, adding a new wing and Dillard’s as its fourth anchor. With Governor’s Square still dominating the market, Tallahassee Mall’s occupancy dropped to 45% by 1995 despite successfully splitting up the former Ames space with a Service Merchandise and Goody’s. In 1996, the mall added a 20-screen AMC Theatres and Dillard’s acquired Gayfers in 1998 but the fanfare ended up being short lived with Service Merchandise and Montgomery Ward closing in 1999 and 2000. In 2008 Dillard’s shuttered its Tallahassee Mall store, leading to the largely empty mall being foreclosed on in early 2011. 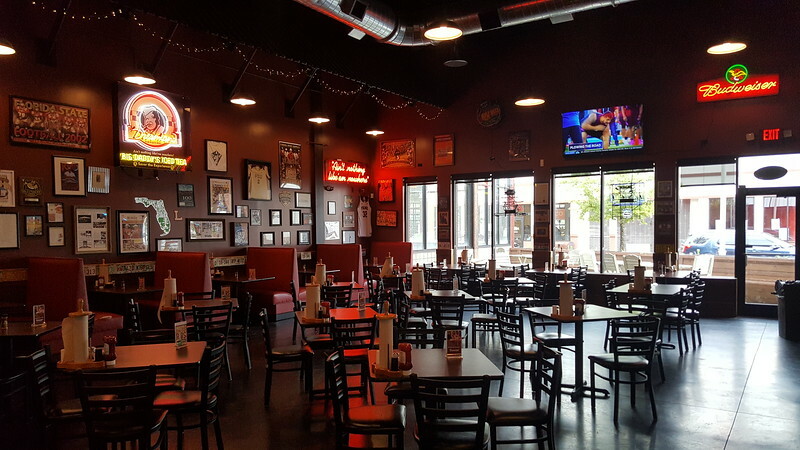 Alabama-based Dreamland Bar-B-Que opened its first Florida location in The Centre of Tallahassee in May 2016. Instead of calling it quits, the 755,000 square foot mall was acquired by Blackwater Resources in 2013 leading to a unique renovation that attempts to attract various segments of the market. Beginning in 2014, Blackwater demolished 155,000 square feet of existing original 1971 mall space, replacing it with two vehicular cross streets and open air concert venue and rebranded the mall as The Centre of Tallahassee. Spaces facing Monroe Street became a power center of big box chains that include Ross Dress For Less, Barnes & Noble Booksellers and the Guitar Center. The former original mall’s main esplanade was converted into an outdoor street named Music Alley. Urban Food Market, Tallahassee’s first food hall, serves as an anchore for Music Alley, along with a 10,000-seat amphitheater bringing in 15-20 national acts annually. The section of the old mall that’s anchored by Burlington Coat Factory, AMC Theatres and Belk remains a traditional enclosed mall. Future plans may involve adding apartments, a hotel and additional retail pads in the mall’s excessive surface parking lot. Time will tell if the plan to convert Tallahassee Mall into a place where people can live, work and play will be a success. Nevertheless, whatever its future may hold, the combination of a power center, smaller traditional enclosed mall, food hall and 10,000-seat amphitheater in the middle of suburbia is an interesting one.